​A small amount of help in early childhood can pay off with amazing results! Young children's brains and bodies are uniquely able ​to grow in healthy directions, with the right supports. Growing and learning is what they do! A trellis, placed at the right time, can support a plant to grow as high as it can. If you wonder if your infant, toddler, or young child is struggling with an aspect of growth, please take action now. There are known ways that trained local professionals can help them learn better skills in areas of speech, motor control, social/emotional skills, daily activities, and can work with you to continue these skills with activities at home. Your community wants to support you, your child, and your family, and has free ways to do so! You are not alone. If your child is under 3 years old, please contact either REACH or Criterion for free Early Intervention services. 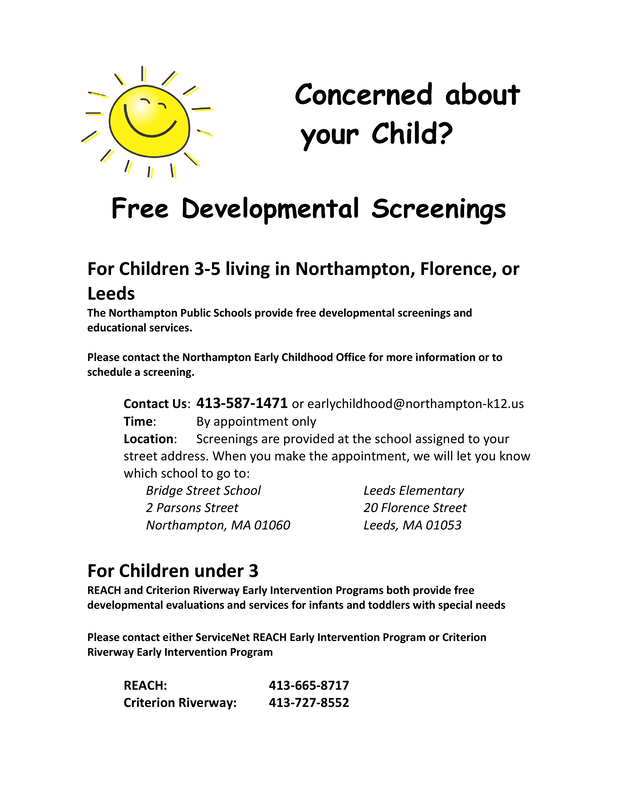 If your child is between 3-5 years old, please contact the Early Childhood Center at the Northampton Public Schools for a free evaluation. 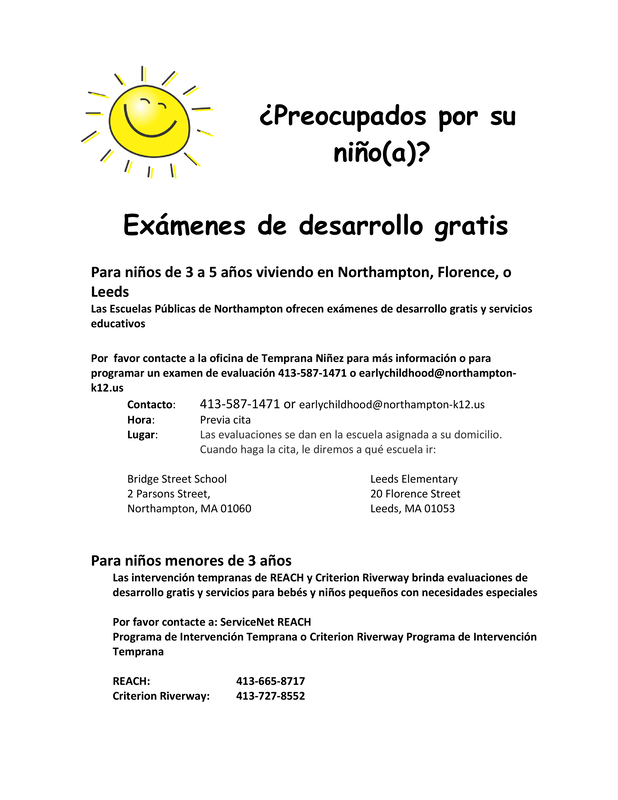 Call 413-587-1471 or email Erika Frank at efrank@northampton-k12.us.